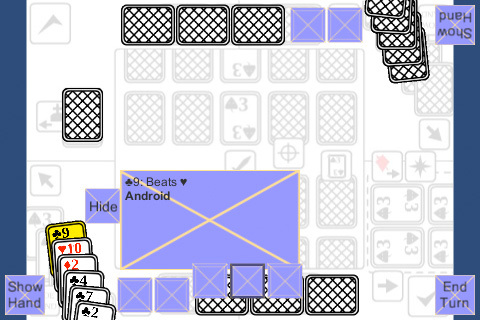 Now when your hand is shown and you draw a card, the drawn card will be shown as well (after it goes into your hand). The ‘play a card’ buttons now properly get disabled depending on the card type (though the middle button still doesn’t work properly). What’s next, getting the cards to battle each other. I think I’ll put in some dummy icons for the buttons too. They’re getting confusing.